Enjoy a peaceful float canoeing on a majestic mountain lake, or enjoy a thrilling ride kayaking down a rock filled frothing mountain river. Pick your poison and live life to the fullest between the gunnels. 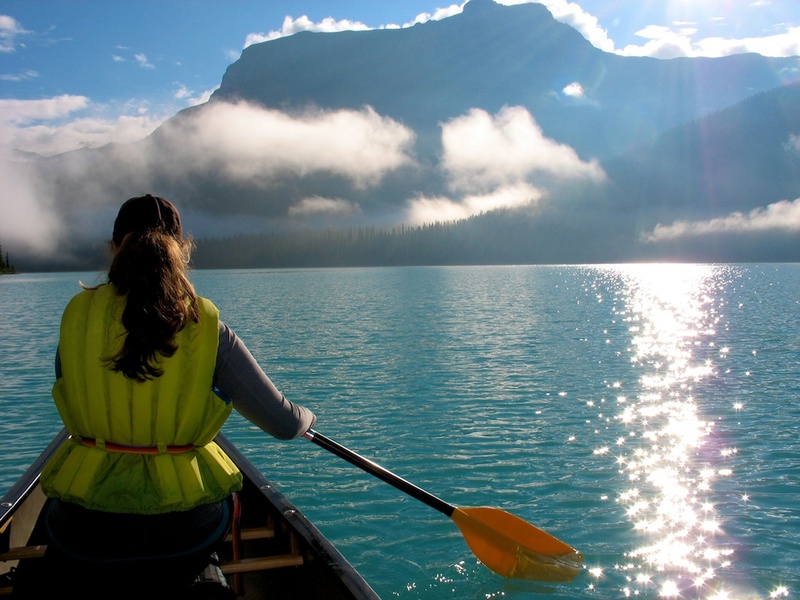 Kananaskis offers numerous mountain lakes in a jaw dropping landscape that can make for a nice relaxing canoe trip, or paddle clinging frustration if the winds pick up. Treat these lakes with respect and stay close to shore as the weather can change rapidly and tipping into freshly melted glacial ice is a concern. If you are interested in adrenaline pumping rivers, there are also several options that are regularly run, however almost all of them require a significant amount of experience. Kayakers continue to push the limits in this area, with more and more locals pushing the boundaries during high water levels. The cold water should cause you to treat the waters with more respect then their grade suggests. A quick dip can be refreshing but you don't want to swim for long. Favorite Lakes - A list of the various lakes scattered throughout the jagged peaks and rolling foothills. Paddling Groups - Join a group and learn how to paddle, or find someone who can steer your boat in both directions and get you to shore before the big drop. Paddling Events - Are you constantly running the rapids upside down? Come out for an event where there's a paddler at every eddy who'll help you get a breath of air. Paddling Guidebooks - Sometimes it's better to keep the adventure within your limits. Check out a guidebook to discover which corner has a waterfall around it and which areas are better left to the experts.